StreetGames Awards 2019 - Nominations now open! StreetGames would like to offer its congratulations to James Threlfall, who was recently awarded an MBE as part of the 2019 New Year’s Honours List. Us Girls Wales named Sporting Experience of the Year! StreetGames' Rus Smith wins prestigious UK Coaching Award! StreetGames has been nominated in the 'The Bigger and Better Workforce Award' category as part of the London Sport Awards 2017. Ken Dullaway, Hastings Borough Council’s StreetGames project co-ordinator has been recognised nationally by the Football Association (FA). 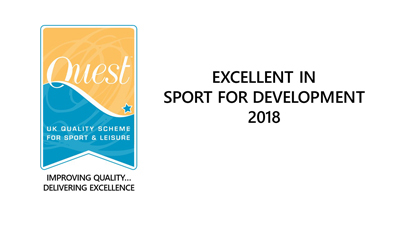 StreetGames has received the fantastic news that one of our dedicated members of staff has been nominated for a prestigious National Diversity Award.